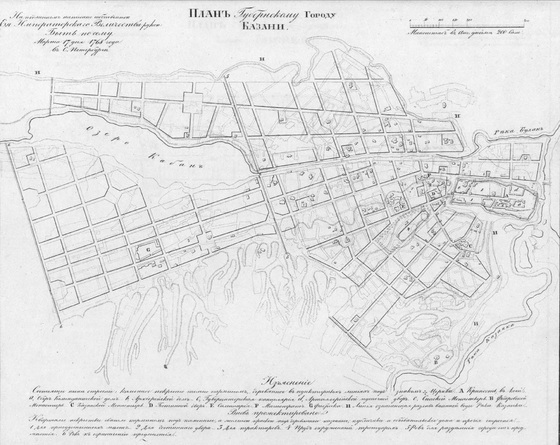 "Plan for the provincial capital of Kazan": A master plan for the layout of the city, developed at the decree of Catherine II. Finished in 1768, the plan was largely implemented after the city was sacked and burned in 1774 during the Pugachev Rebellion..
Polnoe sobranie zakonov rossiiskoi imperii, s 1649 goda (1st series), Kniga chertezhei i risunkov. 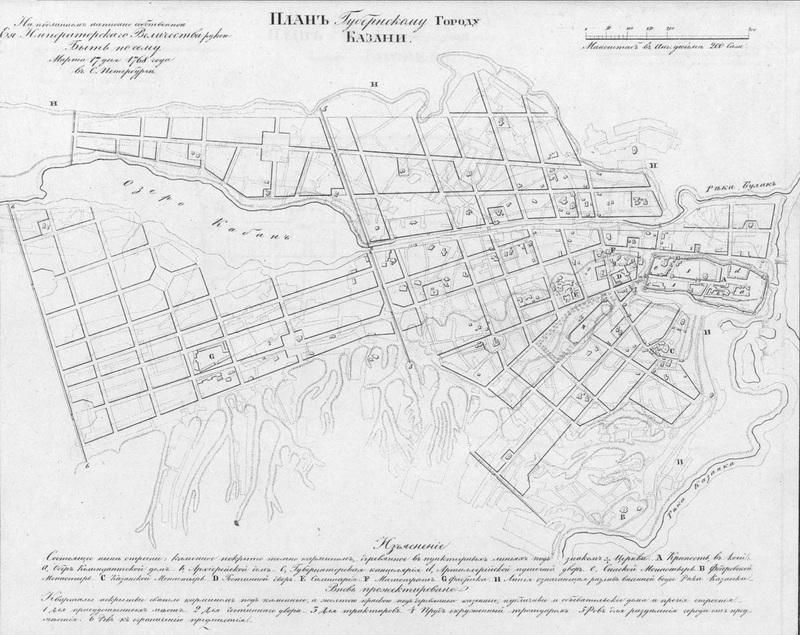 “Plan Gubernskomu Gorodu Kazani,” Kazan 19th c. - Urban explorations of a nineteenth century Russian provincial capital, accessed April 21, 2019, https://kazan19c.com/items/show/4.